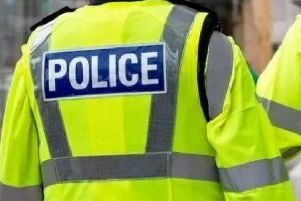 Police said Thomas Lawrie, 37, of no fixed address, appeared at Crawley Magistrates' Court yesterday (Monday, April 15) after his arrest at a property in East Walls on Sunday. Lawrie pleaded guilty to the charge of threats to kill and was fined £461, police revealed. A spokesman added: "He was also ordered to pay £85 to the Crown Prosecution Service and a £46 victim surcharge."